buying quality supplements | To Health With That! I am writing in response to the scandalous NY Attorney General’s investigation of herbal supplements sold at major retailers including GNC, Target, Walmart and Walgreens because clearly these are not good quality supplements. The gist of the investigation is that when the house brands (meaning Target brand or Walmart brand) of different herbal products were tested, the majority of them didn’t contain any of the herb listed on the label. Instead they contained food or filler ingredients designed to mimic that herb like mustard, powdered rice, wheat or radish or powdered house plants. Obviously some of these fillers could be dangerous to those with allergies or sensitivities and they did not appear anywhere on the label. The New York Attorney General’s office issued a cease and desist order to these retailers, demanding that they fix the problem. The quote below was taken from the cease and desist letters reprinted in the NY Times. As this particular case unfolds we will learn the truth – which I believe is a mix of both sides of the story. It could be that there is some of the active ingredient in the products that the DNA testing failed to detect, but if DNA testing detected ingredients that aren’t on the label, then that’s an equally big problem. The supplement industry is full of sad cases like this in which customers are buying products in good faith to help themselves based on their own research and investigation, but not getting what they pay for, and in some cases getting dangerous substitutes. 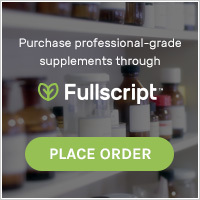 It is important to buy supplements from trusted sources, most frequently from health care practitioners themselves, or from a retailer who can carry professional grade products like Peoples Rx . The problems within the industry are readily apparent. Complex regulations that are hugely expensive to follow, with nobody to actually enforce those regulations leads to a lot of companies bending the rules. Especially herbal and supplement companies that are trying to be the cheapest product out there – which is mostly what large retailers carry. GMP certified – All supplement companies should meet the Good Manufacturing Practice guidelines set out by the FDA and should be inspected regularly to make sure they are still in compliance. 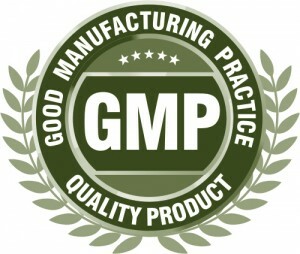 Products should state that they are GMP certified on the label. Professional-only – Most supplement companies sell to anyone, anywhere. But those typically don’t go through the level of testing and verification that professional-only lines do. These are companies that only sell through health professionals because their products are strong and effective enough that it is important for customer safety that they be used correctly. Some retail outfits, like Peoples Rx are able to stock products like this because their wellness staff is composed of trained health professionals. For the most part these products will be found in your practitioner’s office. 800 Number – Companies who stand by their product quality will make it easy for you to contact them to ask them about the products, the verification that they go through, and the quality standards that are in place. 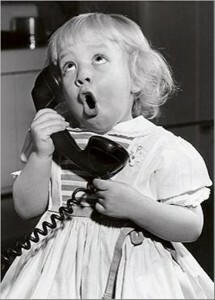 Look for an 800 number on the product label and feel free to call them to ask all of your questions. This is not a complete list, but these are companies that I use most frequently and have researched extensively. I would urge you to always look for good quality supplements and skip the bargain bin – there are some things you don’t want to compromise. Also, by buying high quality supplements and skipping the bargain bin, you are reinforcing the message to the makers of these supplements that we want the real thing. As consumers we don’t want to be deceived, we are willing to do the research to find the best products. This entry was posted in Herbal Medicine, Natural Health and tagged buying quality supplements, Finding the best supplements, good quality supplements, NY Attorney General supplement, quality supplements, supplement regulation on February 10, 2015 by amyneuzil.